Why yes, I do teach group fitness classes! Okie dokie, folks, it’s getting real. Really real. Guess who officially starts teaching group fitness classes next week? But, here I am, Celeste Edenloff, Certified Group Fitness Instructor. Seriously, it’s really weird. And awesome. And exciting. And scary. And nerve-wracking. And fun! 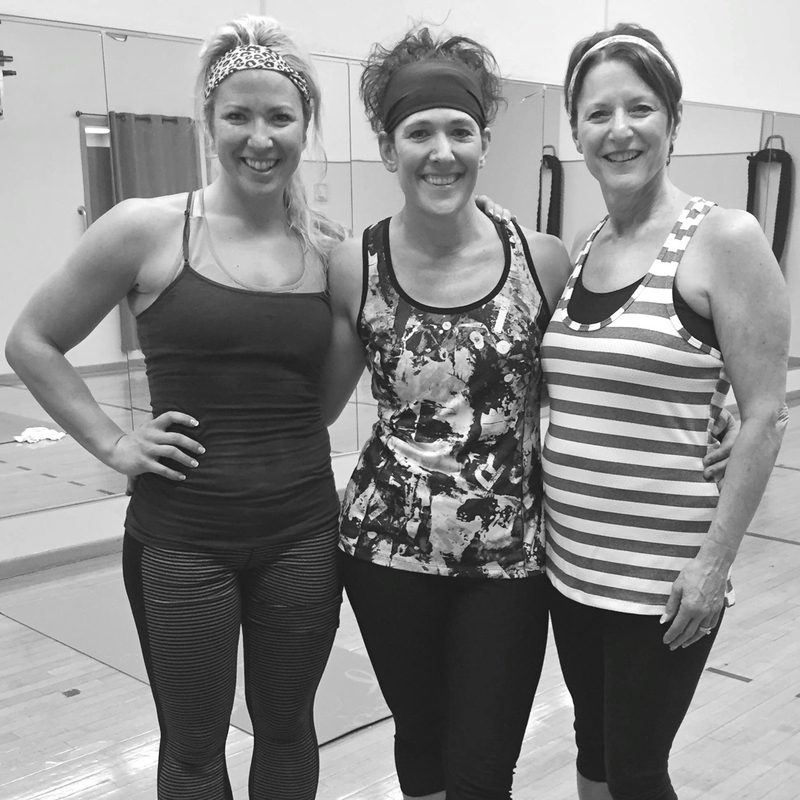 So, today, I had the privilege of teaching a Tabata-style fitness class to my boss and owner of Vital Fit Club, Heather Godfrey, along with her mom, Lynn, who is the biggest honey you will ever meet! Well, actually, they both are. I guess it’s like mother like daughter! Heather is one of the most genuine, sweet, beautiful (inside and out), fit, strong, amazing women I know. She is probably THE BEST fitness instructor I know. Actually, she IS the best one I know. And yes, I had to, wait, scratch that. I got to teach HER today. As nervous as I was, I really did have fun. And you now what, we were all sweaty when we were done! 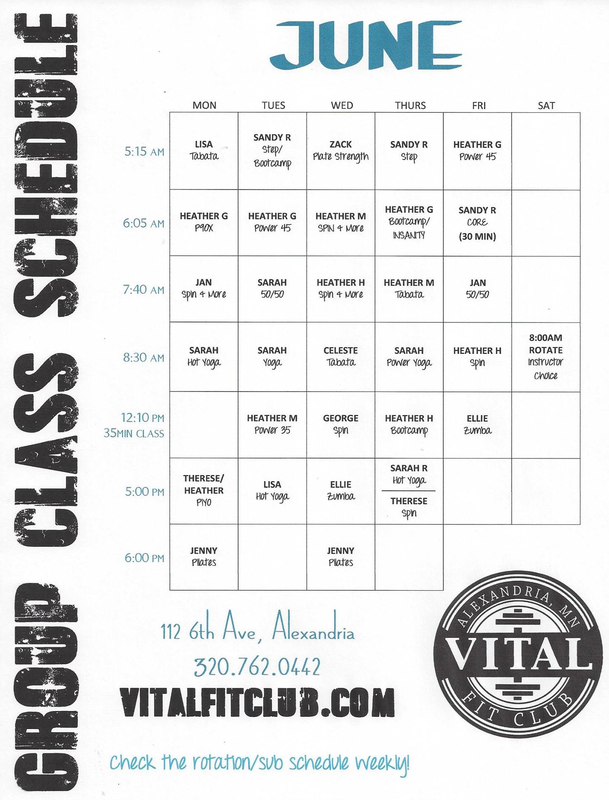 So, besides the beginner bootcamp I will be teaching starting June 9, I am actually on the group fitness schedule at Vital. For the month of June, I will be teaching a Tabata-style class on Wednesdays at 8:30 a.m. For right now, we just have the June schedule set, but I will probably (hopefully) be on the schedule from here on out. Here’s a look at the schedule and also a list of classes with their descriptions. 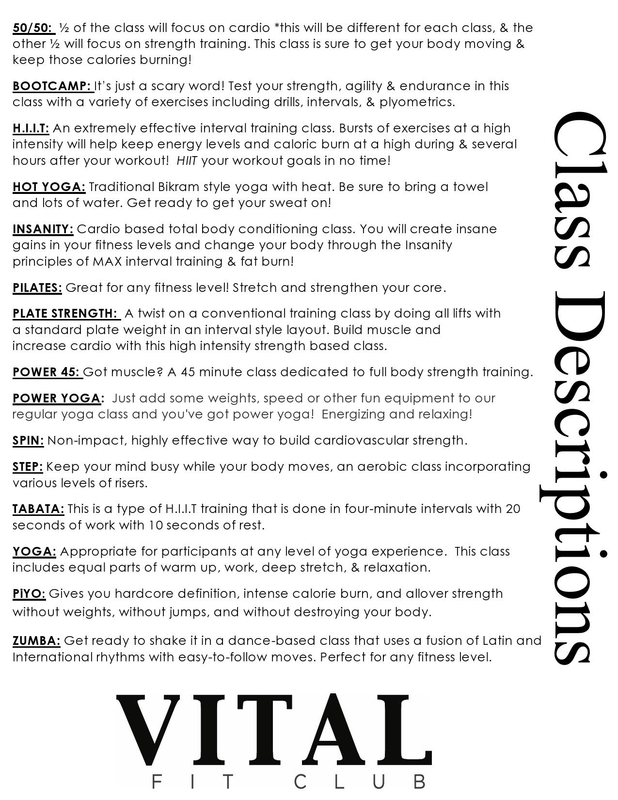 So, in case you want to know, you don’t have to be a member of Vital to take the classes; although, being a member is pretty awesome. You can, if you would like, purchase a day pass or a series of passes to attend just the classes. Just stop by Vital anytime for more information and prices! Well, if you wouldn’t mind, wish me luck as I embark on yet another new journey of trying to help others achieve their goals – this time, their fitness goals! I know you will do great, but good luck! I am so very proud of you! And I wish I lived closer as well!! I would wish you luck but I know you don’t need it! Enjoy every moment! Next Next post: Jumping jacks, squats AND mosquitos!